Dra. Dña. M. Mar Loren Méndez, Prof. del Dep. de Historia, teoría y Composición Arquitectónicas. Seville. September 05-October 15, 2011. School of Architecture, Seville University. Territory, Cultural Landscape and Urban Development on the Andalusian Coast. Tourism and Social Sustainability. The module: “Territory, Cultural Landscape and Urban Development on the Andalusian Coast. Tourism and Social Sustainability” is part of the European Master Architecture Studium Generale postgraduate course run by BTU Cottbus, Germany. As well as external candidates, students attending the Master’s Programme are from Consortium Universities in Germany, Austria, Spain, Estonia, Israel and Portugal. The Master’s programme focuses on the transformation of the European city in the 21st century and is based on four fundamental parameters: the generalist and interdisciplinary nature of architecture, cosmopolitism resulting from increased mobility, an emphasis on research and the importance of direct site-specific experience – with each module of the programme taking place in a different city. The module considers territorial transformation on the coast, a phenomenon of critical importance both at European and international levels. Given its outstanding geography and climate, the development of tourism on the Andalusian coast, specifically the western part of the Costa del Sol, but also beyond, on the shores of the Strait of Gibraltar, started as early as the 1950s. An interpretation of this area as a potential model for tourism led to a process of accelerated urban development driven by aggressive speculation throughout the second half of the 20th century. This part of the Andalusian coast is now, at the beginning of the 21st century, fully consolidated: studies that consider this area purely on the basis of tourism, however, are incomplete and it is necessary to adopt a wider overview which encompasses not only tourism as a key feature, but also other dynamics in the area. As the phenomenon is so complex, however, it is impossible to apply traditional research tools or a linear methodology. The prevailing trend towards over-simplification and a macro-analysis of the territory in isolation, a reductive, homogenous approach, needs to be counterbalanced by historical, critical and architectonic considerations reflecting a multifaceted system that is both plural and diverse. The module combines monographic seminars on the history of selected sites and related architectural proposals as well as on-going workshop activities. Workshops include personal assessment activities, critic sessions, as well as compulsory visits to the site and site-specific research. Lectures will be given by the appointed team of workshop professors, visiting lecturers and professionals. A short exercise: “Bolonia, Cultural Landscape and Border situation” will take place during the first week in the “Parque Natural del Estrecho, Ensenada de Bolonia” [Nature Reserve of the Straits of Gibraltar, the Bay of Bolonia]. Please find attached an outline and additional information. Exercise-1. In a second exercise on a larger scale: “II: Coastal transformation and tourism: Costa del Sol”, the students will present a proposal for an architectural intervention on the Costa del Sol. Please find attached an outline and additional information. Exercise-2. - Acquiring critical knowledge of the processes of coastal development and transformation. 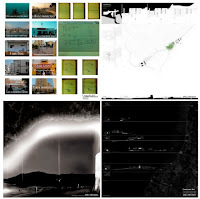 - Relating architecture to dimensions of urban planning, territory and landscape. - Developing an interdisciplinary approach to architectural research and practice. - Introduction to research in architecture. - Development of critical and original thinking in students; encouraging independent, active research. - Emphasizing the value of acquiring direct experience of the object of study as key to architectural research and intervention. - Developing critical and propositional analysis, combining the most objective knowledge with the most subjective level of interpretation by applying alternative approaches to the constructed reality. - Raising awareness of difference as an asset. A history and theory of architecture where plurality is valued and promoted, as opposed to the universalist topology of established models. - Increasing social awareness whereby sustainability is a key factor in the regeneration of coastal tourist areas. Student attendance and active participation in seminars and visits will be assessed as well as their ability to incorporate historical, theoretical and methodological considerations into their proposals. Students will be evaluated on the basis of continual assessment throughout the different work phases. This includes personal reviews, critic sessions and final presentations. As well as an evaluation of oral presentations, work submitted by students that apply the graphic formats indicated in the Exercises will also be taken into account. Work submitted must respect the format and deadlines established in the course general schedule.